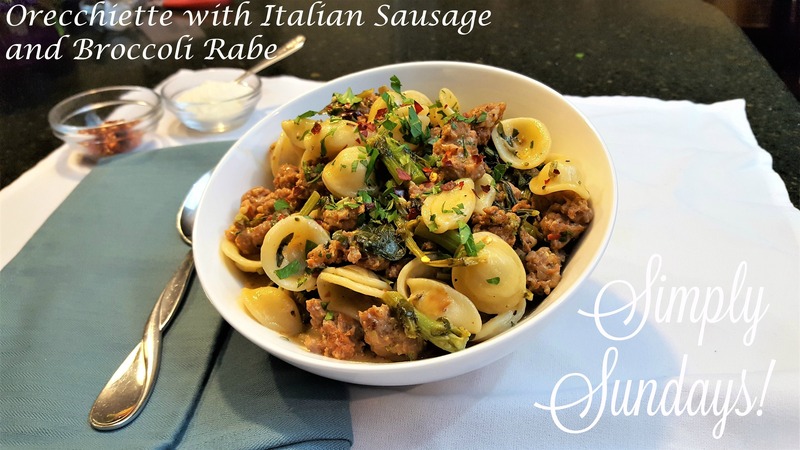 Orecchiette with Italian Sausage and Broccoli Rabe – Simply Sundays! We served this with additional crushed red pepper and grated cheese! Very good. Grocery store didn’t have broccoli rabe so I made it with spinach and arugula. Full disclosure: I was going to make it with spinach for the rest of the family, I love broccoli rabe but no one else does! The men of my family LOVED this. Has a distinct flavor due to greens/dairy/sausage that is different and tasty from what I usually make. Recommended! Love the spinach-arugula substitute! I think as long as there’s a green to cut the richness of the sausage and dairy, it works! So glad you like it! !